Easter morning was like Christmas morning for my sister and I when we were growing up. 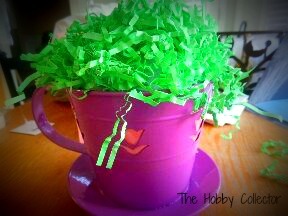 We didn’t get presents, but when we woke up, we would search throughout the house for our Easter baskets, which was equally exciting. 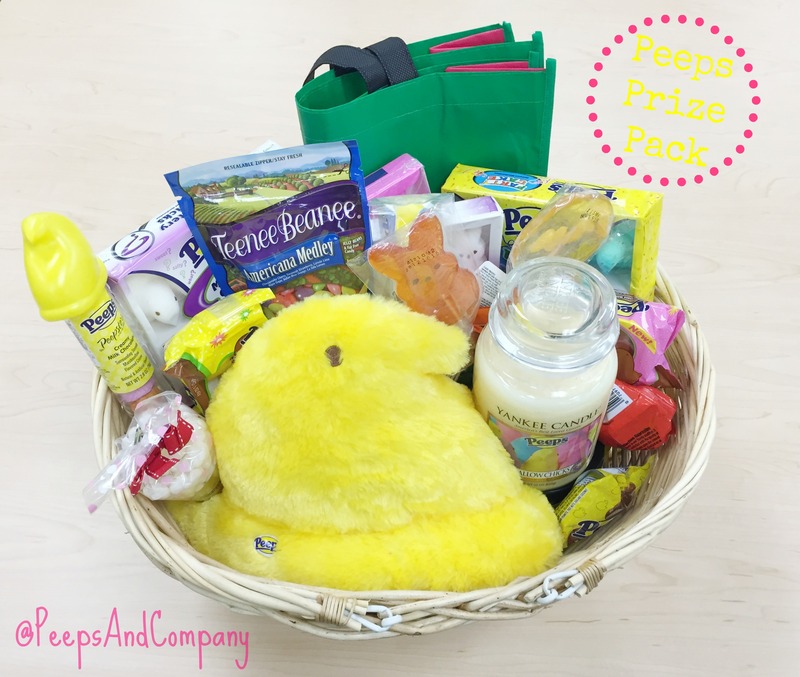 When we found that basket of sugary goods, the first thing I would go for were PEEPS®! Then we would head on over to our grandparents house for Easter dinner and an Easter egg hunt with our cousins. There would be one egg in which had a $5 bill. Clearly everyone wanted that egg. Unfortunately for them, my grandpa always told me where it was. And how I miss that man dearly. 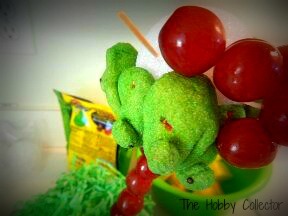 I’m anticipating on having an Easter egg hunt this year for my son and his friends. 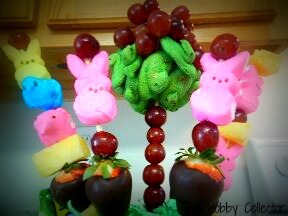 Since it wouldn’t be Easter without MY favorite Easter candy being involved, I figured why not make PEEPS® & Fruit kabobs! But I want to display it nicely for our guest. 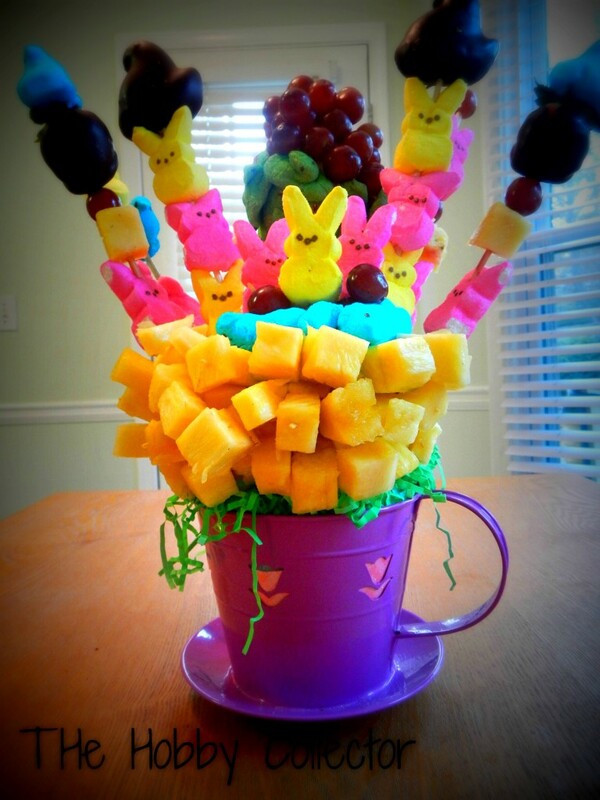 And then I can up with the idea of having a PEEPS® & Fruit Bouquet! So here it is ladies and gentlemen! 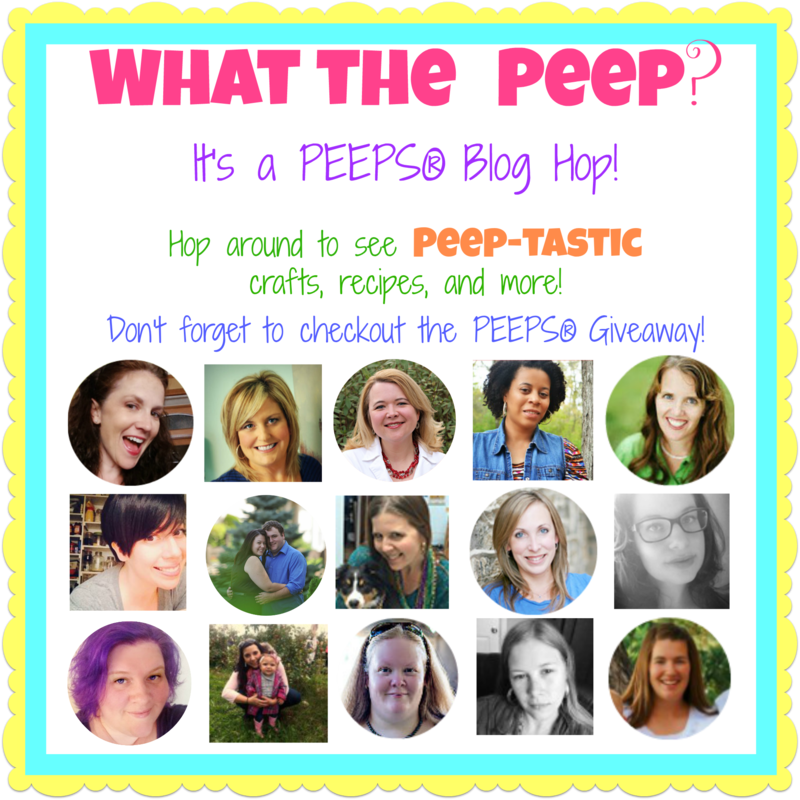 Did I mention you need PEEPS®? 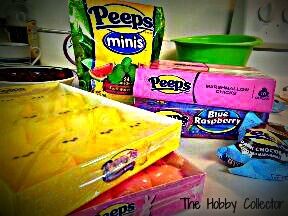 I used several colors and a few new flavored PEEPS® that I have never tried before. 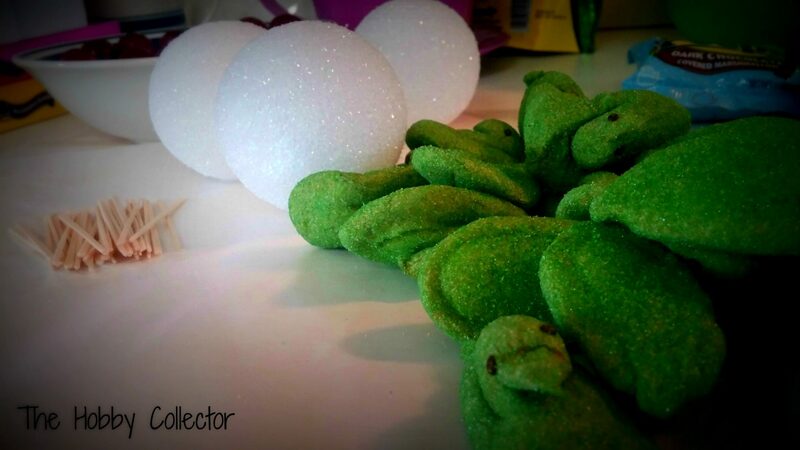 You’re wondering what happen to the Peep? Now that we have that settled, let’s get back to business. You can really make this your own. There is no incorrect way to do it. However, I would recommend using the foam ball to better secure the skewers. I decided to cover my strawberries in chocolate. I just bought the candy melts, followed the directions on the package to melt them. 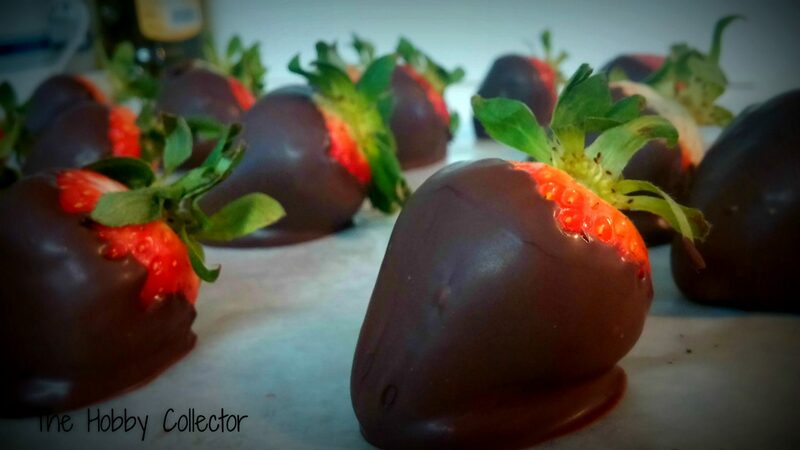 Dipped and placed the strawberries in the fridge until the chocolate set. 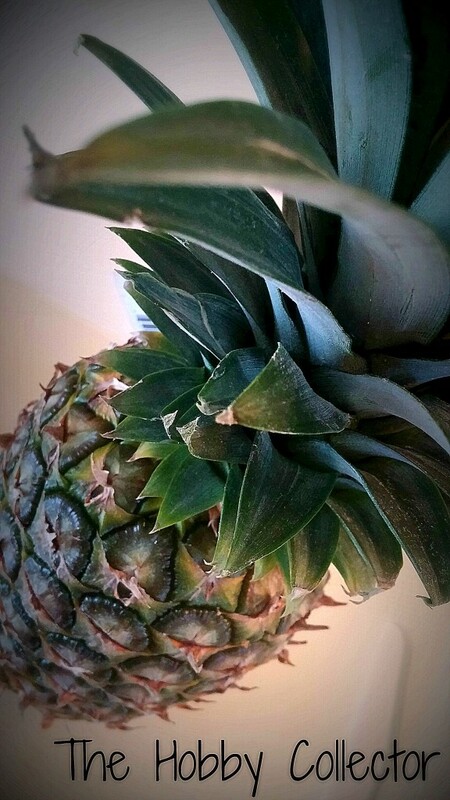 I used fresh pineapple as well. so I just cut them in chunks. I had no idea what I was going to do, I just went with the flow. 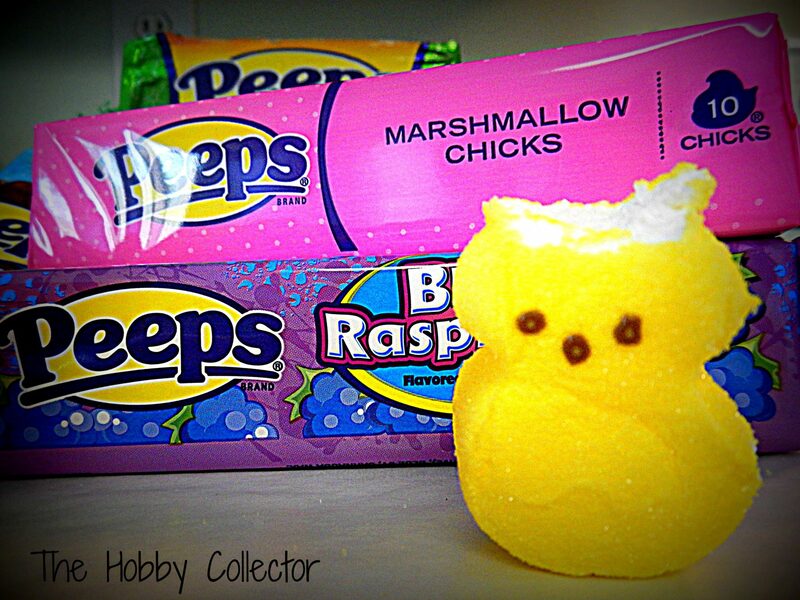 I used these new mini PEEPS®. The ones I purchased were watermelon flavored. They are good, but I looove the original. 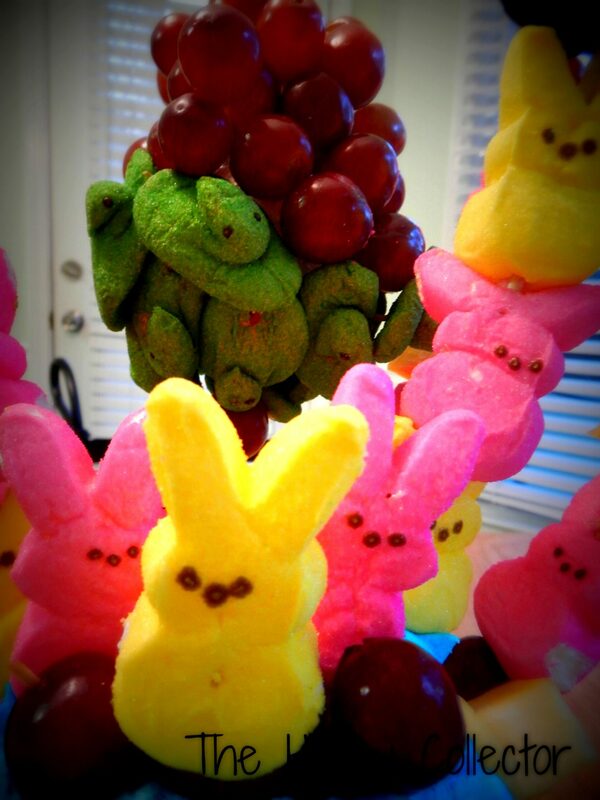 To secure the PEEPS® and the grapes use toothpicks. 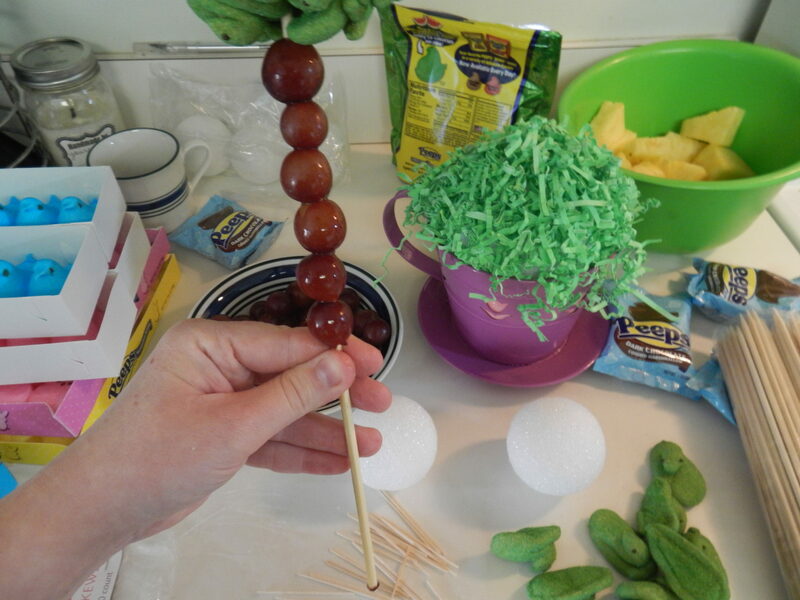 I placed the foam ball on the end of a skewer and added grapes to the end of the skewer as well. In my head, it’s a flower (hehe). 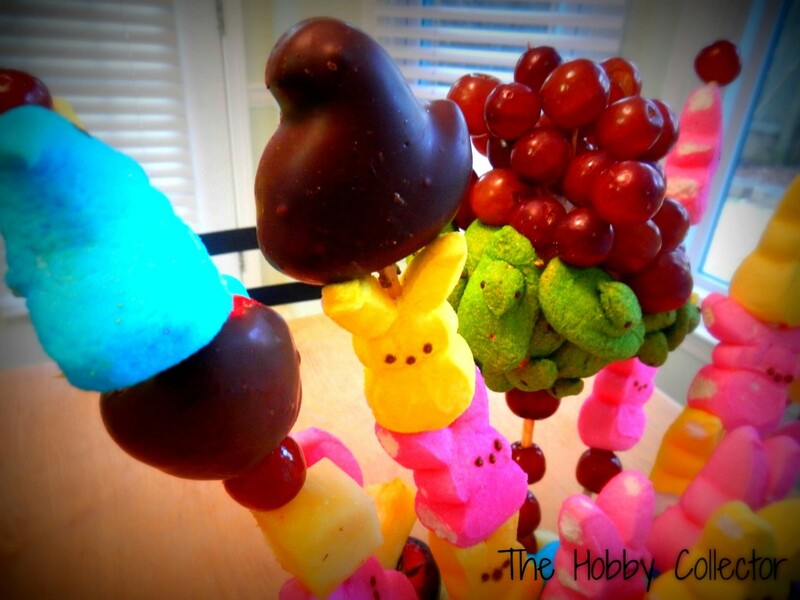 Then I just went though and added fruit and PEEPS® to each skewer, again just going with the flow. 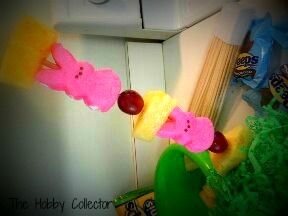 Some of the pineapple juice did soak into some of the PEEPS® , but it was actually really tasty! I added a bunch of pineapple chunks to the bottom. I love how it came out. And it’s a happy medium between fruit and candy! 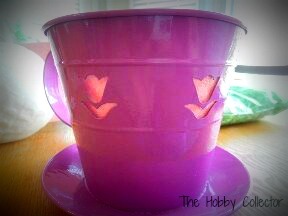 I also love all the different colors that the PEEPS® bring out, it really makes it POP! Again, have fun with this and make it your own! 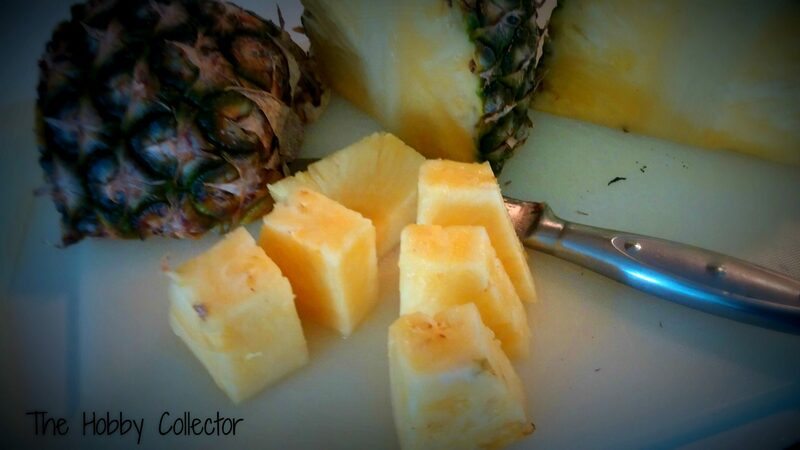 Some little things you can also do is use cookie cutters to cut the pineapple, that way they can be in different shapes. You did a fantastic job! 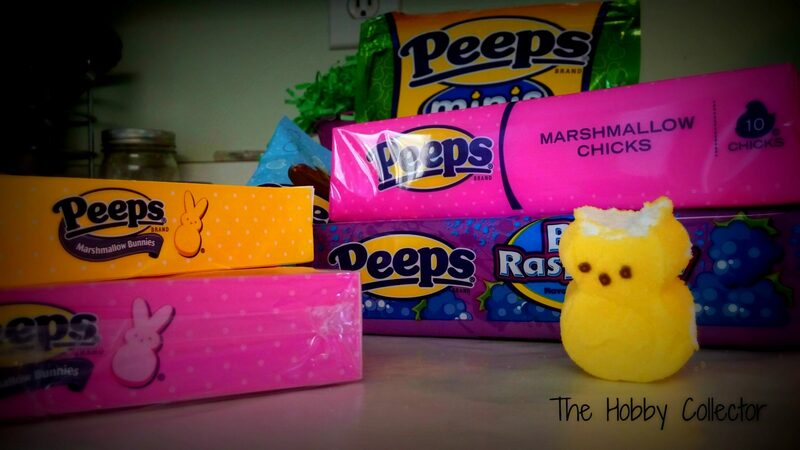 I love the yellow PEEPS! We tried the Mystery flavor kind and they were interesting. I didn't see mystery. The only new ones we tried were watermelon andblue rasberry. Both were good, but the original is the best! 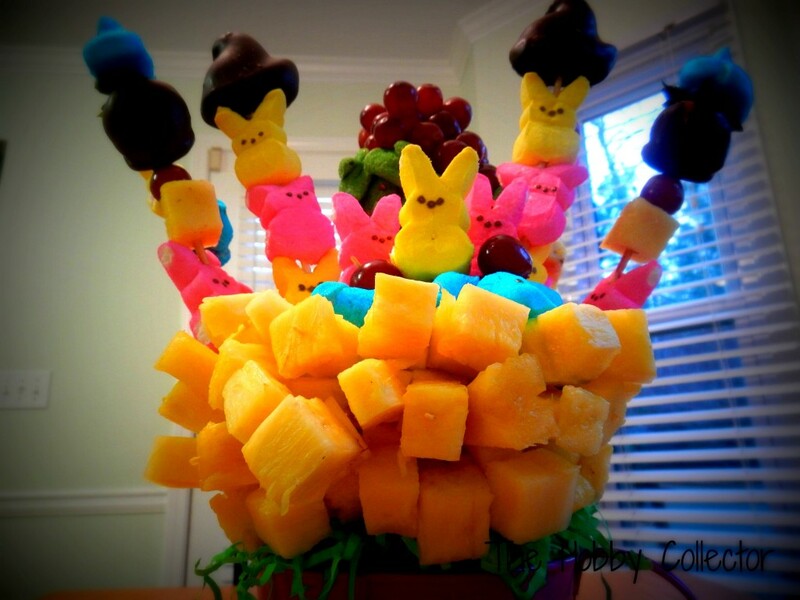 Lovely the basket that is prepare candy chocolate & fruits(peeps) graphic is on point. Thanks for sharing. This looks so good. 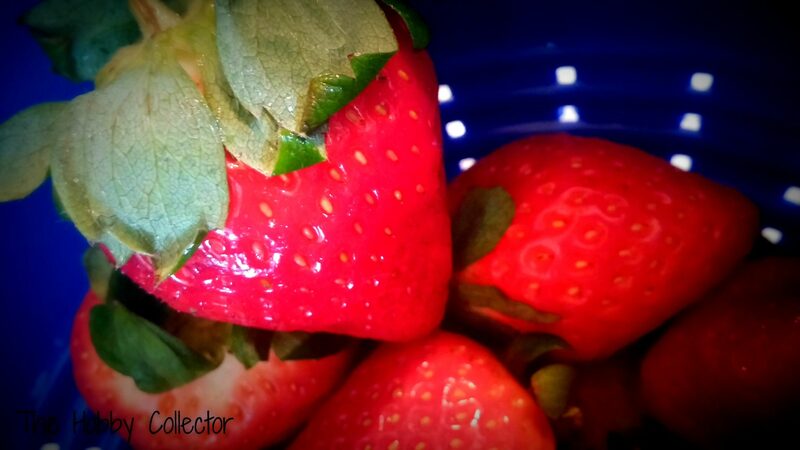 I love all the beautiful colors mixed in with the fruit. This is what I want my Easter basket to look like this year. In fact, I could eat some right now! it's Sugar & Spice. Downloaded.